Production brake: FMRP, the protein missing in fragile X syndrome, slows the cell’s protein manufacturing machinery. In the search for autism drugs, some of the most promising candidates have come from research on fragile X syndrome. Children with the syndrome have intellectual disability, social anxiety and distinctive physical features — and about 30 percent have a diagnosis of autism. Unlike autism, which has myriad genetic causes, fragile X syndrome is always caused by mutations in a gene that encodes a protein called FMRP. In normal cells, the protein puts the brakes on translation — the synthesis of proteins from a cell’s genetic blueprints. In fragile X syndrome, FMRP is missing, and protein synthesis runs amok. One approach to developing drugs for fragile X has been to restore normal protein levels by blocking other proteins involved in translation — such as one called mGluR5. These drugs proved promising in mouse studies, but so far they have not been found to be effective in people with the syndrome. Perhaps a better approach is to manipulate only a subset of FMRP’s direct targets, says Eric Klann, professor of neuroscience at New York University. 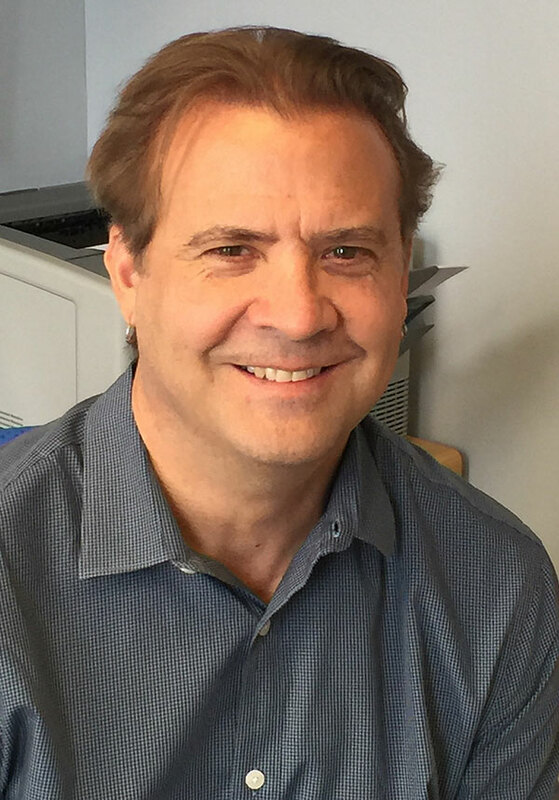 His opening talk at the Keystone Symposia: Pathways of Neurodevelopmental Disorders meeting in Tahoe City, California, outlined how he aims to find the most promising of these proteins. We caught up with him after his talk to hear more about these research plans. SFARI.org: Why do you think focusing on translation is the way to understand fragile X syndrome? Eric Klann: There are a number of manipulations — either genetic or pharmacological — that can reverse synaptic and behavioral symptoms in fragile X mice. So the question becomes: How is it that each of these different approaches can result in the same outcome? The one common feature of all of these manipulations is that they reduce the overall level of protein synthesis in the fragile X mice. So I think an important question is whether there are a core group of messenger mRNAs, or genetic messages, that are dysregulated when FMRP is absent and that are rescued by each of these manipulations. Even though there may be hundreds of genetic messages dysregulated in fragile X syndrome, it could be that these manipulations target a core overlapping set. S: How do you plan to find these core messages? EK: Researchers have shown that the translation machinery, or ribosome, works faster in fragile X mice. So we want to find the messages that are being translated faster in the fragile X mice. Then we can see which of these messages are slowed to a normal rate under each of the manipulations that improve the syndrome. I think it will still lead to multiple targets, not just one point of overlap. And it could be that even if it’s just a handful of targets, each of the manipulations may only partially rescue some of the messages. We just won’t know until we do the experiment. S: Is the hope to target the specific genes affected by loss of FMRP, instead of those involved in more general translation pathways? EK: Exactly. In our simple way of thinking, we would hope that the common targets of FMRP would operate at synapses, as ion channels or receptors — things that might be druggable and perhaps more specific to the nervous system than the FMRP pathway in general. On the other hand, fragile X syndrome is a disease of translation. Given the number of messages that are likely to be dysregulated, it might be easier to just slow down translation. Not to completely block it, but to reset translational homeostasis. I think that this strategy may be trickier, because these are core mechanisms present in all cells, but it’s still a reasonable way to consider attacking fragile X syndrome. S: Do you see increased protein synthesis, or translation, as a point of convergence in multiple disorders? EK: Yes, but I don’t think it’s necessarily just increased translation; there also could be decreased translation. For example, in mice that model tuberous sclerosis there’s actually decreased protein synthesis. So in my laboratory we actually started to use the term ‘eccentric translation,’ or dysregulated translation. 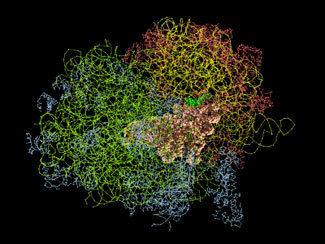 S: One potential therapeutic target that you identified in 2012 is S6K1, which initiates protein synthesis. What is its link to the fragile X pathway? EK: There’s evidence that S6K1 is upregulated in FMRP’s absence. We showed that if you genetically remove S6K1 from fragile X mice, it prevents their molecular, synaptic and behavioral symptoms. Now we have two selective inhibitors of S6K1 that we’ve been working with in order to see if we can reverse these aberrations in adult fragile X mice. It appears that these inhibitors have a similar effect, in that they can reverse a number of phenotypes. The data is promising so far.